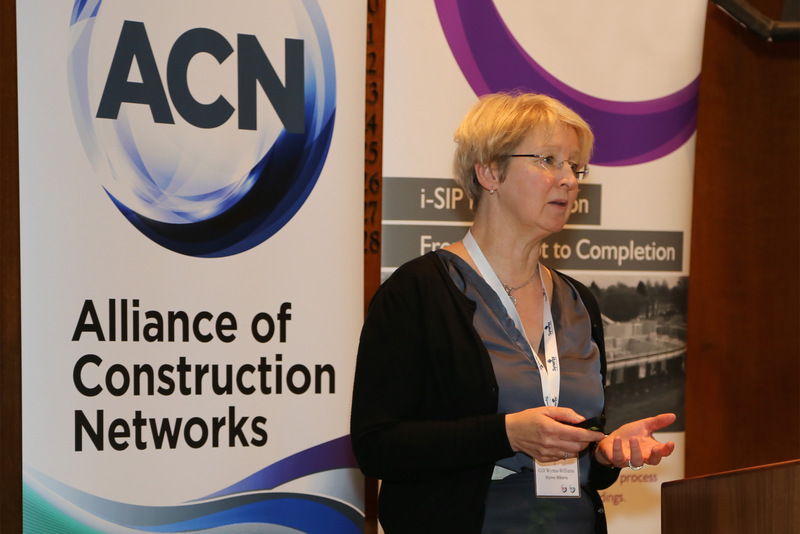 WWA Managing Director, Gill Wynne-Williams, gave a talk at the Alliance of Construction Networks (ACN) annual conference in London last November. Along with Daniel Knott, an Associate at BuroHappold Engineering, Gill was asked to address the question “How do we design for passive & active external environments?”. The pair presented a range of project case studies illustrating different approaches to designing external spaces. This was followed by a joint Q&A session which allowed audience members to explore the theme further with specific reference to their own field. The two-day conference, held at RICS in Westminster, had an overall theme of “Well-being & Measuring Outcomes”. Other speakers included acousticians, architects, contractors and branding consultants. Wynne-Williams Associates are one of the 135 companies that form the ACN, which is fronted by Marcel Hendricks. Their regular breakfast seminars and annual conferences aim to facilitate networking and encourage the sharing of knowledge between construction professionals. One of the case studies used to illustrate Gill’s talk was our ongoing project at Marlborough Sports Gardens. This scheme involves the refurbishment of community sports facilities in Central London including a fenced games court, netball court and a beach-volleyball court. Construction of a new rebound and bouldering wall is also planned. A particularly interesting aspect of the project was the discovery of WWII air-raid shelters beneath the site. 400m3 of foamed concrete was needed to fill the tunnels, see our Instagram page for images. At WWA we have a range of skilled professionals who are willing to speak at events, conduct CPD sessions or give educational talks. Please contact us for more details.